Cinco de Mayo is frequently regarded as the Mexican equivalent of the United States 4th of July. This is incorrect: it is the equivalent of the “5th of May” in the Spanish language. Another misconception is that this has something to do with Mayonnaise. That too is a bum spread, as the condiment had its origin with the French, who will come into our story later. Nor does it have to do with County Mayo in Ireland, though we’ll make sure the Irish get into this story at some point. Rather, the “Battle of Cinco de Mayo” or specifically the Battle of Puebla, occurred on May 5, 1862. 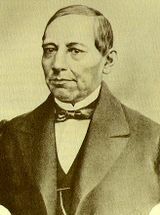 President Benito Juarez, who had been Zapotec Indian Minister of Justice in Juan Alvarez‘ cabinet in the 1850’s, entered Mexico City on January 11, 1861, and promptly expelled the Spanish minister, the papal legate, and members of the episcopate. Additionally, he took steps to enforce the decrees of 1859, dis-endowing and disestablishing the church. He could not have known then that almost a century later, “antidisestablishmentarianism” would become the longest word in the English dictionary. Although Juarez was recognized by the United States and had received both moral and military aid from the US, there were over $80,000,000 in debts at that time to Europe alone. The Mexican Congress on July 17, 1861, decreed the suspension for two years of interest payments on the external national debt, and three months later a convention occurred between Great Britain, France, and Spain calling for joint intervention in Mexico. As European forces advanced, and particularly French troops, their advance was checked at Puebla on May 5, 1862. The Mexican forces under the command of Texas-born General Ignacio Zaragosa managed to defeat a larger and better equipped French force. 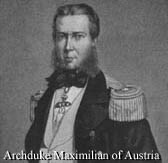 However, the next year Napoleon III of France sent almost five times as many troops to Mexico to take over and install a puppet ruler, his relative the Archduke Maximillian of Austria, though he was defeated four years later. Many believe that Cinco de Mayo is universally celebrated in Mexico as a day of independence. This is wrong on two counts. First, the call for Mexican independence, the Grito de Dolores, was made by Miguel Hidalgo at the town of Dolores on September 16, 1810, though it was not recognized by the Spanish viceroy until 1821. Secondly, because it is not a federal holiday, Cinco de Mayo is not widely celebrated in Mexico, except in Puebla, the largest city in the state of Puebla, Mexico. Elsewhere in Mexico, it is observed with eating, drinking, and dancing. In the United States, however, it is widely recognized along the border states that have significant Mexican-American populations, especially in California, to celebrate Hispanic pride and culture, not unlike Irish-Americans do on St. Patrick’s Day.